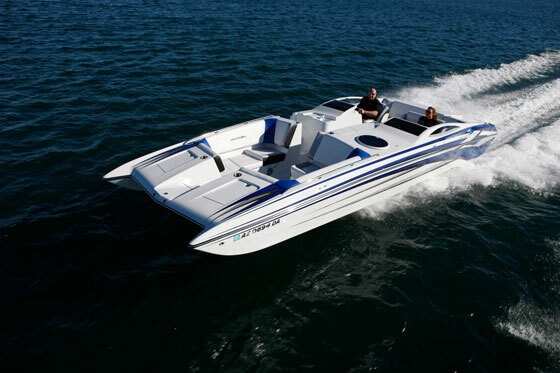 If you're going offshore, go all the way with Advantage's 34' Offshore ... a luxurious sport-boat that takes both performance and practicality very serious. Apply the power and feel how Advantage's innovative multistepped deep-vee hull runs... smoother, faster, more responsive and with an effortless efficiency that puts this beauty in a class all its own. 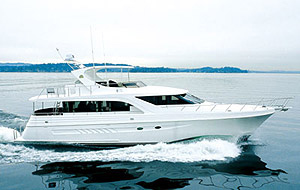 And don't assume that performance has to compromise,comfort, the 34' Offshore proves that. 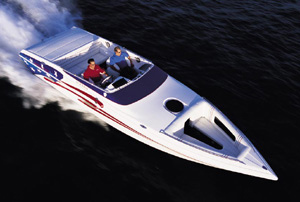 This is one sportboat that truly has a people-sized forward cabin. 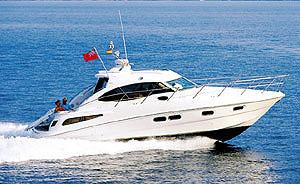 The on-board overnighting possibilities are endless with spacious sleeping quarters, enclosed head and a main salon. 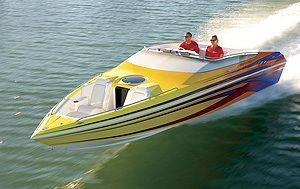 The 34' Offshore, offshore power boating excellence like only Advantage can deliver.